Every year we like to post information about trouble spots you may encounter at some point on the 170-mile Cohos Trail system. 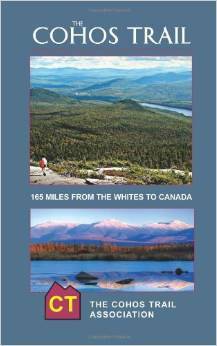 We hope these remarks will be of value to you when out on the Cohos Trail. In the Dry River valley between Mt. Isolation and Mt. Eisenhower, the stream crossing south of Oakes Gulf can be very dangerous in high water, particularly early in the hiking season when snowmelt is still underway and spring rains swell the current. Use extreme caution. If you decide you cannot cross safely, don’t. Continue up the Dry River Trail, climb Oakes Gulf and bear left (west) on any trail you encounter to bring you to the Crawford Path. Turn south on the Crawford Path until you reach the intersection with the Edmands Path below (north) of Mt. Eisenhower. 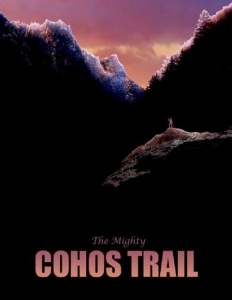 Now you are back on the Cohos Trail route. It is possible that areas of the highly exposed Davis Path could have experienced blowdowns, something that is quite common year to year. There have been reports throughout the Whites of considerable forest damage due to severe wind damage. The Pondicherry Wildlife Refuge harbors habitat that favors all sorts of mammals, large and small. Because of this fact, the 6,000-acre refuge is a hot spot for tick infestation. Yet the refuge is not the only area where you may encounter ticks. Any environment where there are grasses, weeds, and shrubs can be tick prone. Take advantage of a host of articles on the web about how to avoid tick bites and what to do if you are bitten by a tick. Over the last eight or nine months, the Kilkenny Ridge Trail in the Kilkenny Division of the White Mountain National Forest has suffered considerable damage from multiple severe storms. There are scores of blowdowns on the ridges, particularly among the Pliny Range peaks from Mt. Waumbek to Mt. Weeks. In some sections the number of fallen trees requires lengthy bushwhack detours. The bushwhacking will be required until the region can be cleared. If you are thru-hiking in June and July, you should expect some unpleasant conditions on the ridges and slower going. If you are uncomfortable when confronting heavy damage in a forested environment, please think of rescheduling your hike through that particular region. The Forest Service sent a pro trail crew into the Kilkenny Division of the White Mountain National Forest to clear the Kilkenny Ridge Trail during the week of July 9th 2018. We are still reviewing the work done by that crew, so please use caution as always in that section of the National Forest, particularly in the worst quadrant between Mt. Waumbek summit and Mt. Weeks. In the Simms Stream Valley, the lowest point between Gadwah Notch and Baldhead Mountain, there is a puncheon span over a little gulley, followed by a string of old bog bridges. These simple structures are approaching the end of their useful lives. So use caution when crossing them. Inspect the span over the gulley to determine if it should hold you and your pack. That span will get replaced this year, but before it is, use extreme caution crossing it, or detour around it. The Baldhead Shelter privy needs some TLC soon. We hope to do repairs on it in 2019 and move it to a new location, as well. Just north of the Dixville Bypass, on the old fire service lane, the route can be muddy and less than pleasant going, as the Cohos Trail utilizes the ATV route for a short distance to descend the peak. The pathway through this region is an ATV corridor. In late spring and early summer, it can be quite muddy and wet in places and a challenge to pick your way through in spots. As Sophie’s Lane (part of the CT) swings to its closest point to Third Connecticut Lake, the pathway is in low terrain that can be very wet at times. Be aware of it and pick your way through as best you can if you encounter wet ground. Caution should be taken in the Tumbledick Mt./Sugar Hill sections between Coleman State Park and the Sanguinary Summit Trail. Sections of our trail in the area were extensively logged and the trail bed is rough. We hope to clean up this section soon.